HELP TO BUY AVAILABLE ON SELECTED PLOTS - LIMITED AVAILABILITY. 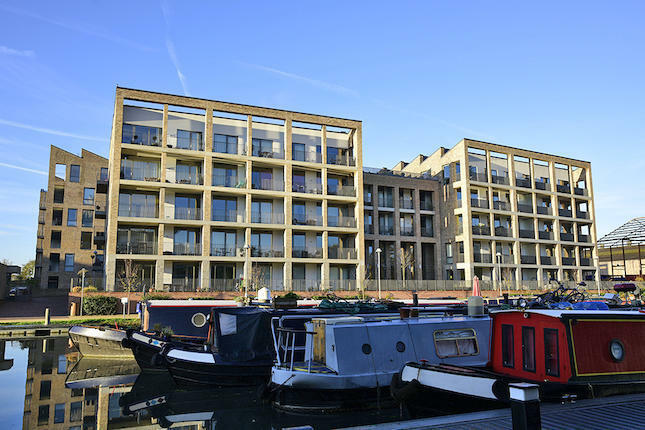 Brentford Lock West is an award-winning development by Waterside Places, located on the Grand Union Canal close to local shops, leisure facilities, beautiful parks and waterside walkways. The scheme has been carefully designed to maximize the water frontage whilst offering stylish and unique homes focused around a sense of community, in a new desirable West London destination. Keelson Gardens is now ready to move in, is arranged around a beautifully landscaped courtyard, Keelson Gardens comprises one, two and three bedroom apartments, duplex apartments, penthouses and just six exclusive four bedroom townhouses. Also ready for occupation, Chalico Walk with the remaining properties ALL benefitting from views across the Grand Union Canal, with only a limited amount of three bedroom apartments remaining, Chalico Walk is perfectly complemented by a waterside setting. With a thriving community spirit, an active water sports scene almost on your doorstep and green open spaces just a short stroll away, you can enjoy a different way of living at Brentford Lock West, whilst still benefiting from being within easy reach of the Capital. Book your appointment to visit our sales and marketing suite and 3 bedroom apartment and 4 bedroom townhouse showhomes today. Open daily 10am to 5pm. Offering the benefits of a close community and the sense of calm waterside living can bring, life at Brentford Lock West is relaxed. Keen paddle boarders glide along the tranquil canal as families feed ducks from the towpath, while local cafés, restaurants and shops serve as the perfect place to pause. Ideally situated alongside some of the most desirable areas of Chiswick, Ealing, Kew and Richmond, Brentford Lock West is perfectly positioned. In addition, the development boasts excellent bus, train and road links making central London and all it has to offer easily accessible. At weekends, the local farmer’s market showcases everything from hand-made artisanal produce to tempting street food. Brentford high street offers the usual favourites while Syon Park and Kew Gardens provide a peaceful respite from busy city life. Further afield, the impressive Westfield shopping centre is within easy reach. Computer generated images are for illustrative purposes only, and not necessarily representative of a layout or interior. Standard specification does not include furniture, soft furnishings, light fittings, wall coverings or window treatments. Details and final as built product may vary on completion of the development. Please note current views can change and a view which is unrestricted now may be restricted in the future. Our sales and marketing suite is open 7 days a week: 10am - 5pm.